Barber Schools in Missouri: Listings for Kansas City, St. Louis, etc. Once you’ve decided to become a barber this is often the first question you will ask! That and how much is it? The answer is 1,000 hours at a school or 2,000 hours if you take the apprenticeship route. Both options have their advantages. If you go to school it will obviously take less time whether doing night classes or day classes. If you do a barber’s apprenticeship it will take less money. In the end though you should learn the same skills in either environment. Though it must be said that the on-the-job training aspect of apprenticeship can make it much easier to transition to an actual job. Some things will learn include: anatomy, haircutting, styling, and coloring, shaving, safety practices, chemistry, skin diseases and conditions and a whole lot more. After you have graduated from school you will still need to take two exams to qualify for your license. You’ll need to apply to take the examination and then set a date to do it. 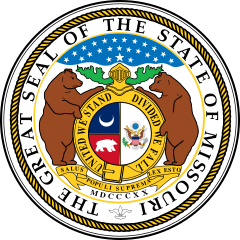 There are frequent opportunities to take the tests at different locations throughout Missouri. Your knowledge will be tested during the theoretical part of the exam and your skills will be tested during the practical. There should be no surprises for you as long as you have completed your training to your instructor’s satisfaction. Once you’ve passed the exams you will get your license and can start working. Your license will, however, need to be renewed every two years. This is easy to and doesn’t require any extra training, but does require a small fee. If you decide to open your own salon you will need to do a lot more paperwork (such as this) before you start up, but nothing that should stand in your way if your passion is to be an barbershop entrepreneur. Transformed Barber and Cosmetology Academy 1229 East 63rd Str. Also MO schools for cosmetology, nails, estheticians, & makeup. Did we miss any barber schools in Missouri? Please contact us to let us know.